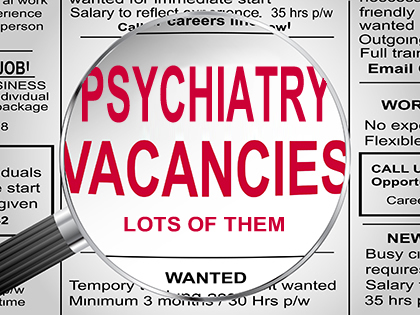 For anyone who has listened to or witnessed the horrors and traumas associated with psychiatry and its ‘treatments,’ it will come as no surprise that the industry has been and continues to experience a recruitment crisis. It’s not a new crisis either. it’s a long-standing crisis. Dr Tom Brown is a consulant psychiatrist. He’s also Associate Registrar for Recruitment into Psychiatry, a position he holds with the Royal College of Psychiatrists. He has the task of recruiting high quality doctors to psychiatry. Dr Brown’s perception was confirmed in a survey carried out by the Royal College of Physicians in 2009, when non-psychiatric doctors were asked what they would do if they suffered mental troubles. According to the research, the majority of doctors would turn to friends and family before they would seek advice from a professional when faced with mental health issues. Doctors revealed how they were keen to keep their professional integrity intact, while also avoiding the perceived stigma attached to mental health problems and the negative impact it may have on their career. Then in June 2009, Professor Rob Howard, the then Dean of the Royal College of Psychiatrists, said there were difficulties enticing UK medical graduates into the specialty of psychiatry. There were reports that those who chose other medical specialties did not consider those pursuing psychiatry to be ‘real’ doctors. That’s true. We don’t hear about the anti-surgery movement, the anti-oncology movement or the anti-paediatrics movement. Why not? One of the reasons is so fundamental, it is often completely missed. That fundamental reason is psychiatry doesn’t cure any of the problems labelled as mental illness. Dr Norman Sartorius, a former president of the World Psychiatric Association, confirmed this when he said, “The time when psychiatrists considered they could cure the mentally ill is gone. In the future, the mentally ill have to learn to live with their illness.” Psychiatrists openly admit they don’t cure their patients. Further, in a major departure from medial diagnosis, psychiatric diagnoses are devoted to the categorisation of symptoms only, not the observation of actual physical disease. 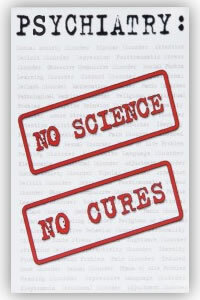 None of the psychiatric diagnoses are supported by scientific evidence of biological disease of any kind. Then there are psychiatric ‘treatments’ which mask the real cause of problems in life and debilitate the individual, so denying him or her the opportunity for real recovery and hope for the future. Real recovery is the forte of real doctors who practice real medicine, not psychiatrists. 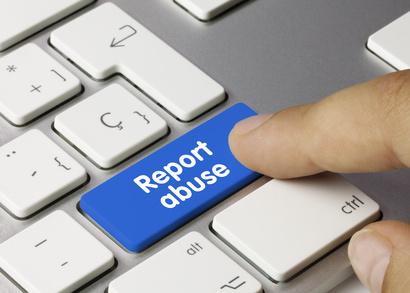 In an act of compassion and empathy, doctors, whether in primary or secondary care, should be encouraged to help their day-to-day patients as they themselves would like to be helped, assisting them with real solutions and real medicine instead of referring them to the profit-driven specialty of psychiatry. In summary, it’s important to make reference to the Hippocratic Oath. It’s an oath taken by doctors. It may have changed over the years, and there may be different versions, but the message remains the same: primum non nocere – do no harm. For psychiatry, that’s a tall order. Posted in Latest News and tagged British Journal of Psychiatry, Hippocratic Oath, psychiatry, recruitment crisis, Royal College of Physicians, Royal College of Psychiatrists.